Uniting and activating female college students to solve the childhood obesity crisis in their communities for future generations. 1 in 3 children and adolescents are either overweight or obese and millennial women can change that. By empowering young women through critical career development, providing valuable resources to improve their physical and mental health, and building awareness, we work with PRETTY GIRLS SWEAT to prepare our youth for the future they deserve. Let's change lives! Help fight childhood obesity - and enjoy a fun workout with your peers. By breaking a sweat to your favorite music, your exercises, fundraising, donations, and support will fund childhood obesity prevention programs nationwide! The PRETTY GIRLS SWEAT® (PGS) Ambassador Program empowers female college students to create active environments and relieve stress for their peers. Wellness has a diversity issue and our mission is to change that. The PRETTY GIRLS SWEAT® (PGS) Reporter Program prepares multicultural youth for careers in the media industry while changing the face of fitness. Helping young women become health leaders today so they can help fight the childhood obesity statistics of tomorrow. 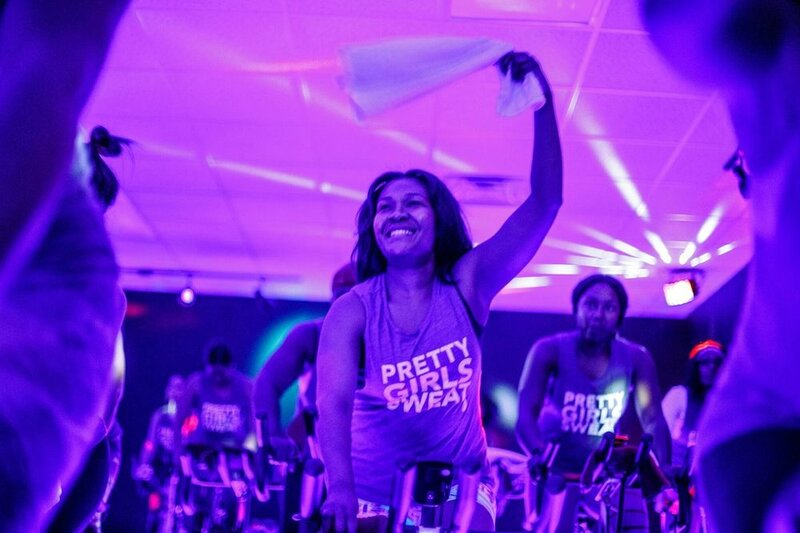 With the help of hundreds of advocates, we work with PRETTY GIRLS SWEAT to activate over 20,000+ millennial women in 8 cities across North America each year. More than 23 million children and teenagers in the U.S. are obese or overweight, a statistic that health and medical experts consider an epidemic. While obesity rates have soared among all age groups in this country, obesity is a particularly grave concern for children. Childhood obesity puts nearly one-third of America’s youth at early risk for Type 2 diabetes, high blood pressure, heart disease and even stroke – conditions usually associated with adulthood. It’s not too late for our children. Every September (Childhood Obesity Awareness Month), students, educators, physicians, and parents take a stand and fight back with jumping jacks. This year, you can help bring the message back to your state, city, school, church, workplace and home with the SWEAT MAKES CENTS jumping jacks challenge.